What are the different strategies for staying hydrated during a marathon? This is often a contentious issue and ultimately takes some planning and a bit of common sense. The overall goal of the hydration strategy is to replace the body's water and electrolytes that are lost through sweat. A fluid loss greater than 2% of body mass (e.g. 1kg for a 50kg runner) can have a negative effect on performance and can increase the strain on the body. Over-hydration can also be a problem in long races like a marathon. Recreational runners drinking large amounts of water at each opportunity can lead to 'hyponatremia' (a dilution of blood sodium), which can have serious consequences. During training, runners should attempt to estimate sweat rates. This is easily done by weighing themselves (in minimal clothing) before and after a run (following towelling down), then subtracting any fluid consumed. 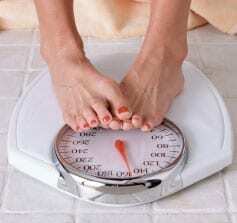 Every 1kg lost is roughly equal to 1 litre in sweat . For example, 1 litre lost from a two hour run would equal a sweat rate of 500ml per hour. Because sweat and uring losses will continue after the run, once you have finished aim to replace a greater volume of fluid (e.g. 1.25-1.5 litres for every 1 litre lost). Take your time with this, instead of gulping down large volumes. Make sure you start your race fully hydrated. Drinking approximately 500ml of water two hours before the race should suffice. This will allow any excess to be passed as urine before the start. Just before the start, plan to drink a small amount (about 150ml). 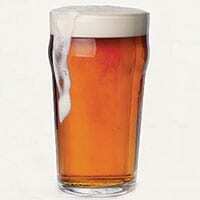 During your run, drinking should match sweat losses as closely as possible, taking care not to over hydrate. Aim to drink small amounts regularly, rather than gulping down large volumes, and listen to your body when you are thirsty. Electrolytes are found in the blood, sweat and other bodily fluids and have an important role in maintaining fluid balance within the body. Sodium is the most important electrolyte for hydration, while others include potassium and chloride. Sodium levels in the blood are tightly controlled. Fluid and electrolytes are lost in sweat and therefore need to be replaced. Sodium allows the body to absorb and retain more fluid, thus helping to maintain hydration. You can top up your sodium levels with sports drinks and gels, which are an easy way to absorb and retain fluid during heavier sweat losses (e.g. during the race or running in the heat). Can I just drink water during a marathon, as I don't like sports drinks? If you prefer, you can base your hydration strategy around water earlier in the race. 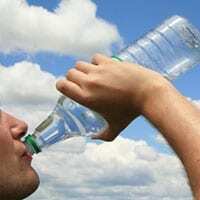 It is, however, advised to consume electrolytes, from available sports drinks or gels, especially if it is hot on the day. Try out sports drinks or gels during training to see if you can find one that works for you. 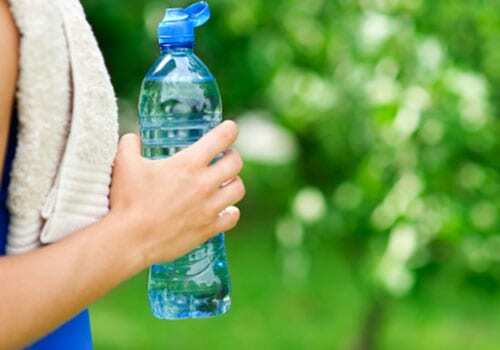 During an event, try consuming sports drinks at the drinking stations on route - you could rinse your mouth out after if it's the taste you don't like. If you're running in the London Marathon, their website will tell you what products will be available from drinking stations on the day. 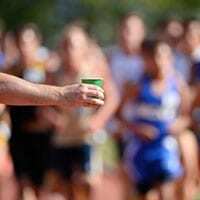 Can I continue to drink alcohol in moderation leading up to a race or is it better to cut them out altogether? It's better to cut out (or at least cut down on) alcohol consumption leading into an event, as it can interfere with the body's maintenance of blood glucose and recovery (including sleep quality) after training. If you really can't resist the odd tipple, ensure that you drink after you have fully recovered following your last run.